City Auto Traders deals in all kind of heavy generator parts and filters. 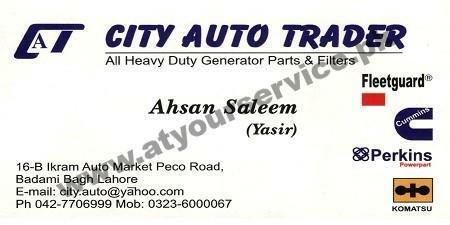 City Auto Traders is located in Ikram Auto Market, Peco Road, Badami Bagh, Lahore. It deals in all kind of heavy generator parts and filters.